Independent living communities for seniors who desire their freedom and space without the required upkeep and cost of homeownership. Independent senior living communities are a type of retirement community that is for seniors who do not need medical assistance. Seniors who want to enjoy life without having to worry about tasks such as home maintenance and outdoor care that is required when you own a home. Many independent living communities offer services such as transportation, meals and on-call health care. The services at these communities can increase peace of mind and quality of life for the senior and his or her family. Independent living communities may be stand-alone facilities or be part of a CCRC - continuing care community. 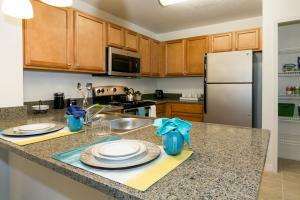 Prices vary greatly depending on accommodations, amenities, size of living structure and location. It is important for seniors who choose the right community based upon their current and future needs and budget. Finding the right community can help seniors live out their days surrounded by friends in a suppporting environment. Independent living communities often encourage socialization through various social activities and shared dining in an effort to encourage seniors to build relationships with one another. Studies have shown that dining can increase physical and mental health in seniors compared to those who remain isolated. This type of community vary in scope, and may provide few services other than a place to live. It is critical that you select the right community with the services for your needs.